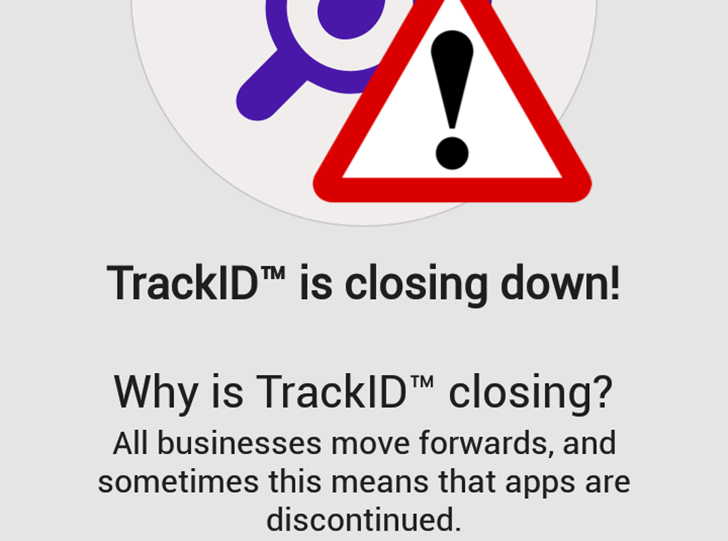 But unfortunately, TrackID will be discontinued as of September 15 according to a new notice that's showing up for users inside the app. 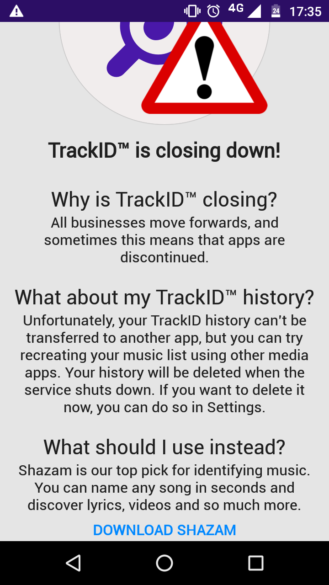 Sony doesn't give a reason beside businesses needing to move forward, but it's likely that the service was requiring a lot of data, music deals, and maintenance to stay on top of releases and those are resources Sony can't afford anymore. That's just my speculation. 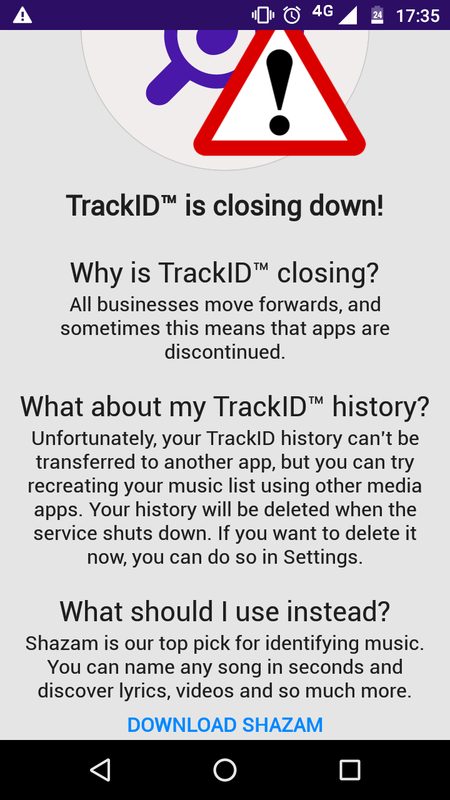 If you've used TrackID in the past, you will lose all of your history on September 15 and there's no easy way to export it so you may want to grab a pen and start writing down those song titles, old-school style. Hah. Well, it won't be easy but I'd recommend cleaning up your history from duds and taking screenshots of the songs that matter. 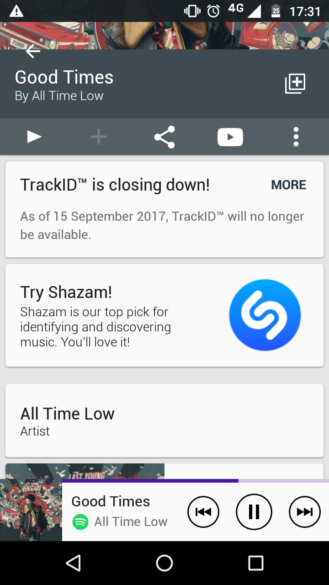 You can also manually make a playlist on YouTube or any other music service/app you use. As for your music recognition needs from now on, Sony recommends using Shazam instead, but I'd also consider SoundHound since they both have their strengths: Shazam has the benefit of working through OK Google voice commands whereas SoundHound excels at recognizing hums and humans singing a tune, not just the official song.